Cari iron willed Princess of the Triple Realm had come to the City of the Moon Goddess on a mission of vengence. She was seeking the otherfolk sorceress Devia, who had once enslaved Cari, bested her in a magical duel and left her to be raped in a rebellion on the island of Jamaka. Devia had not been hard to locate - word of she they sought had led to the very center of the city where stood the Gateway to the Realm of the Moon Goddess, a pool of water at the bottom of a shaft in the center of the city that took its name from she who dwelt beneath that pool. To reach that pool however one had face the Gatekeeper of the Moon Goddess who controlled entrance into her realm. 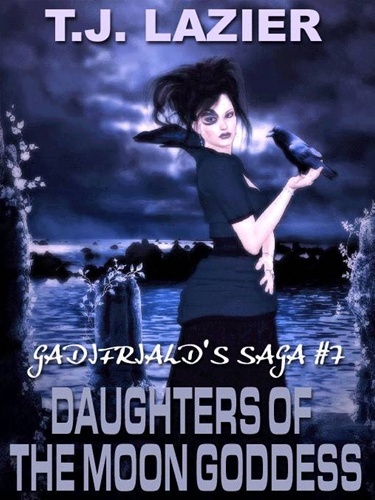 The seventh installment of the Gadifriald's Saga of our best-selling saga of magic and eroticism! If you like your sexual fantasies to take wing – quite literally – then this series will lift more than your spirits!